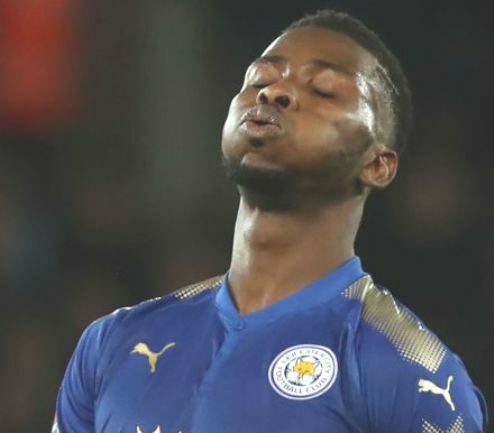 Brendan Rodgers has jumped to the defence of Kelechi Iheanacho after the Leicester City forward was criticised by Nigeria coach Gernot Rohr during the international break. The 22-year-old has come in for criticisms due to his below par showings in club and country colours. He is yet to start a game for the Foxes since mid-December and was not part of the Super Eagles set-up that defeated Seychelles and Egypt – after a dismal showing against South Africa last year. To get back into the national team frame, Rohr advised the former Manchester City striker becomes more “serious” and “professional”. However, his coach at Leicester, Rodgers has given a different assessment. “When I saw him at Manchester City, he was always a young player that could come in and affect the game,” Rodgers said ahead of Bournemouth fixture. “Then he’s come here with a big price-tag. Only afforded seven minutes since Rodgers took over and with a Premier League goal this season, Jamie Vardy’s reputation and form mean Iheanacho, for all his training ground showings, will have to be patient for his chance – and has to pounce when they arrive. “It’s difficult for him because he’s up against one of the best strikers in this league, in Jamie Vardy, so that’s always going to be difficult unless the system changes,” Rodgers continued.